Wade Bennett reports on yesterday’s race at the 2011 Worlds trial course in QLD, Australia: Big crowds witnessed some great Racing on Moreton Bay for the World Titles Course trial day yesterday. Well done to Chris Stout WC’03’07 and the Burnin’ crew for taking out Open Mens in the race of the day. The history of all World Water Ski Racing Champions is now available on skirace.net with a page for every World Championship year. Click on the “History” link at the top of this page and you will be able to navigate to every World Championship year since they began in 1979. 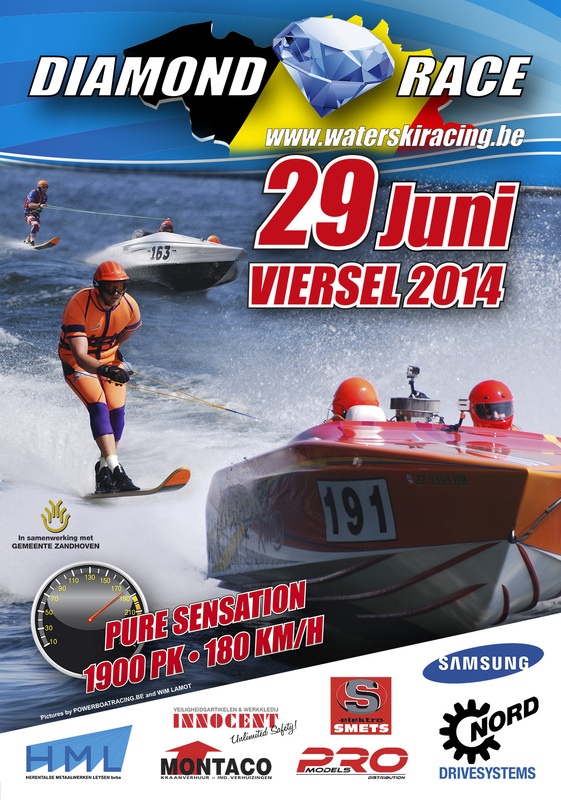 The teams below won the 2009 World Water Ski Racing Championship at Gent, Genk, Viersel and Antwerp, Belgium. The teams below won the 2007 World Water Ski Racing Championship at Rotorua and Taupo, New Zealand. The teams below won the 2005 World Water Ski Racing Championship at Hunstanton, Great Britain. The teams below won the 2001 World Water Ski Racing Championship in Las Vegas, USA. The teams below won the 1999 World Water Ski Racing Championship at Oropesa, Spain. The teams below won the 1997 World Water Ski Racing Championship at Newcastle and Sydney, Australia. The teams below won the 1993 World Water Ski Racing Championship in Belgium. This was the year that Junior categories were introduced. The teams below won the 1993 World Water Ski Racing Championship at Vichy, France. The teams below won the 1991 World Water Ski Racing Championship at Darwin, Australia. The teams below won the 1989 World Water Ski Racing Championship at Lecco in Italy. The teams below won the 1987 World Water Ski Racing Championship at Sydney, Australia. The teams below won the 1985 World Water Ski Racing Championship at Barcelona, Spain. The teams below won the 1983 World Water Ski Racing Championship at Botany Bay, Lake Macquarie and the Hawkesbury River in NSW, Australia. The teams below won the 1981 World Water Ski Racing Championship at Lecco, Como & Idroscalo in Italy. The teams below won the 1979 World Water Ski Racing Championship in Welsh Harp, Allhallows and Whitstable, Great Britain.